Multi-million dollar homes in Texas are now moving like “hotcakes,” says Texas real estate insider, Candy Evans. Sales of bling and ultra-posh golf property homes in the $1m and up range were reported to be up more than 22%. Every Texas metro market is reporting double-digit sales growth of luxury residences. Dallas alone, posted a whooping 22 percent jump in golf property and fine luxury homes. Austin reported a 55% jump in luxury home sales, with a special emphasis on lake property and golf homes such as the Escondido development near Horseshoe Bay. 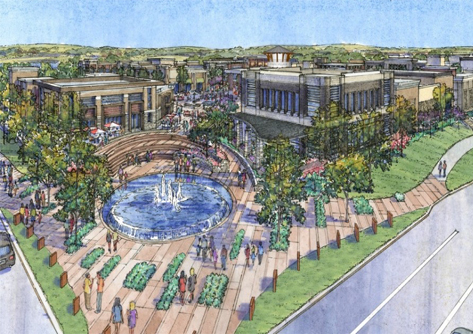 Developers have broken ground on a new shopping center in Southlake. Woodmont Co. said Tuesday that it is building the 190,000-square-foot Park Village shopping center on 22 acres at the southwest corner of Carroll Avenue and Southlake Boulevard. The retail center is already more than 50 percent leased and will open in late 2014. The project was designed by Herschman Architects. Tenants in the center will include a specialty gourmet grocer and recreation goods retailer REI. There’s no evidence of a depressed economy in Dallas when it comes to all things real estate related. 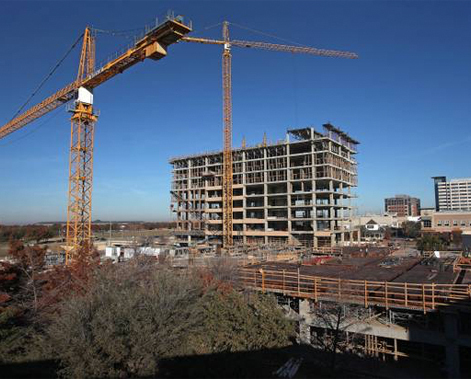 Trammel Crow is building a 13-story legacy tower just off the Dallas north Tollway in West Plano. Retail office vacancies had dropped off quite sharply, attesting to the need for more office space thanks to surges in business in technology. The hundreds of vacant office spaces D-FW once had before the recession are now a thing of the past.